KXCI On The Air: Bela Fleck & The Marcus Roberts Trio at The Fox - KXCI Presents! 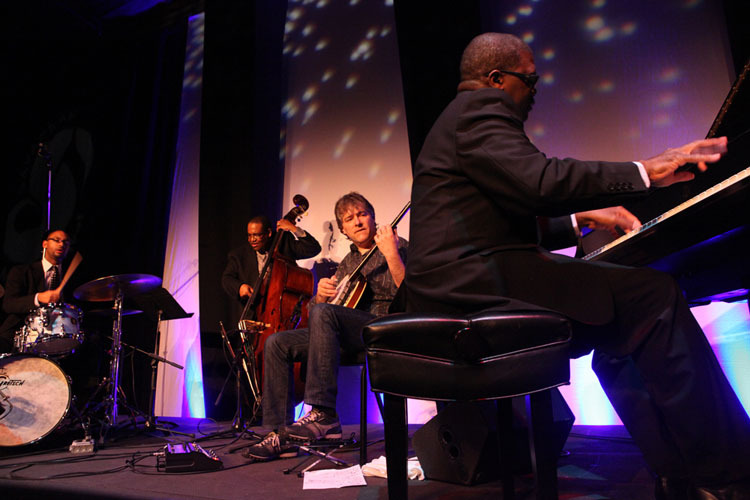 Bela Fleck & The Marcus Roberts Trio at The Fox - KXCI Presents! KXCI Presents! Bela Fleck and the Marcus Roberts Trio this Saturday, November 24th at The Fox Tucson Theatre. Bela Fleck is widely considered the world’s premier banjo player. The Marcus Roberts Trio are torch-holders of the classic jazz tradition. Together they create a new way forward in jazz and acoustic music. While still in high school Bela Fleck began experimenting with playing bebop jazz on his banjo. In 1982, Fleck joined the progressive bluegrass band New Grass Revival, making a name for himself on countless solo and ensemble projects ever since as a virtuoso instrumentalist. In 1989 he formed the genre-busting Flecktones, with members equally talented and adventurous as himself. The Marcus Roberts Trio, led by Roberts on piano, Jason Marsalis on drums and Rodney Jordan on bass, are keen torch-holders of the classic jazz tradition. The mix of these four—Roberts, Fleck, Jordan, Marsalis—create a new way forward in jazz, deeply rooted in the form, while pulling from the extensive backgrounds and music journeys of all the members—creating stellar performances that are exuberant, fresh, soaring, bold, and, of course, eclectic.